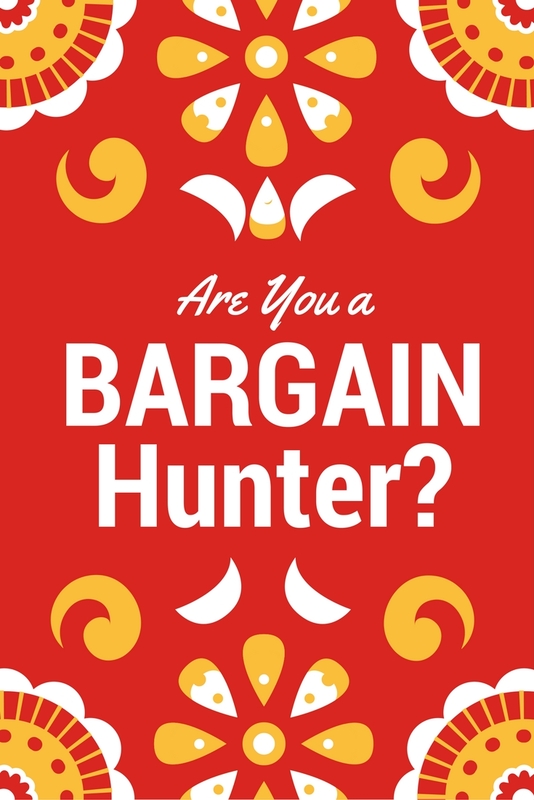 Rambling Through Parenthood : Are You A Bargain Hunter? Are you a bargain hunter? I know I am. I can never pay full price knowing I can save a few pennies if I shop around or wait a little for the price to drop. It can be time-consuming and perhaps just a little bit frustrating to hop from shop to shop, either online or on the high street, in the hunt for the best bargains. I have recently discovered a very handy website called Bargain Buys for Busy Mums. It lists all the bargains in one place, saving you having to look around all the retailers. Something as simple as changing your shopping habits, alternating between your favourite supermarkets or buying certain things from local producers can save you money. I have realised that I can not only save money, but also reduce food waste if I make a weekly meal plan and stick with a shopping list. It has the added benefit of not buying junk foods that do more harm than good. It’s not just every-day household products that you can save money on. I use comparison websites to get the best deals on gas and electricity suppliers. And I never auto-renew our car, home or holiday insurance. It has saved me a few quid over the years. Family holidays and days-out are another area where there are good bargains to be had if you shop around. Most holiday companies have sales on at certain times of the year. Some offer free kids’ places or a free night’s stay if you book certain holidays. Airlines too have sales through the year. This goes for budget as well as routine carriers. If you are open to the idea, staycations are a great option to holidaying abroad. They can save you money, and there is no compromise on fun even despite of the unpredictable British weather. I know, for we have done it in the past, and have chosen to do so this year too. Tesco clubcard vouchers are great for family days-out. You can exchange them to get entry to attractions, cinemas or restaurants. Kelloggs cereal packs have vouchers that offer free entries to grown-ups across a number of popular attractions. Cadbury’s chocolates now offer similar vouchers on some of their chocolate packs. If you are travelling to London by train, make sure you keep hold of those train tickets. For you can use them to get buy-1-get-1-free entries across a lot of London attractions. Also, get an Oyster card. It is the best way to travel around London on a budget. So, whether I am hosting a birthday party on a budget or using my own shopping bags to do the weekly supermarket shop, I love keeping my eyes peeled for a bargain buy. A penny saved is a penny earned, after all!